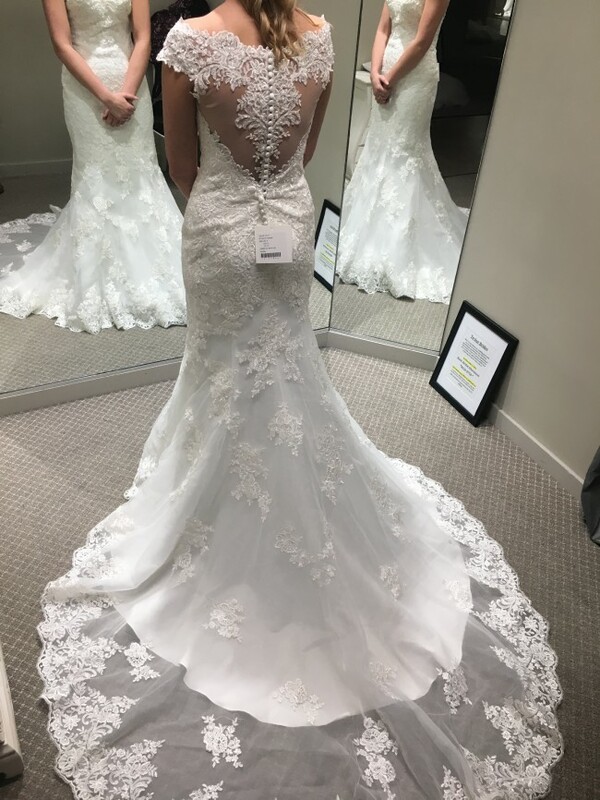 I purchased this beautiful dress for my wedding, but during the alterations process I realized it wasn't the dress for me. It has intricate lace detail, beading and the most gorgeous train! It has never been worn and still has the tags. The bust and sides were taken in slightly, but the fabric was not removed so it can easily be taken back out. Cups have been sewn in and can be removed. The dress has not been hemmed. This dress also has a 5 point bustle.